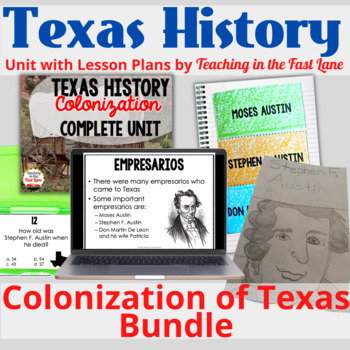 This TEKS based bundle on the Colonization of Texas is made up of products that can be found separately in the Teaching in the Fast Lane store. Want a whole year's worth of Texas History materials all in one place? Check out this Ultimate Texas History Bundle!